The good people at ASUS have again sent us their latest flagship from their Republic of Gamers (ROG) arsenal. This time it’s in the form of the intriguingly named Spatha Gaming Mouse. Yes you read it right, it’s called the ‘Spatha’, not to be confused with the ancient Greek city and movie fame. A little digging around Google reveals that the Spartha was in fact a Roman Long Sword used both in war but more interestingly for us at least, in Gladiatorial fights. So can this gaming mouse live up to the it’s name? Lets See. Well clearly it wouldn’t be wise to enter a gladiator ring armed with only your mouse. Not unless that ring happened to be an online battle against your friends or gaming strangers. 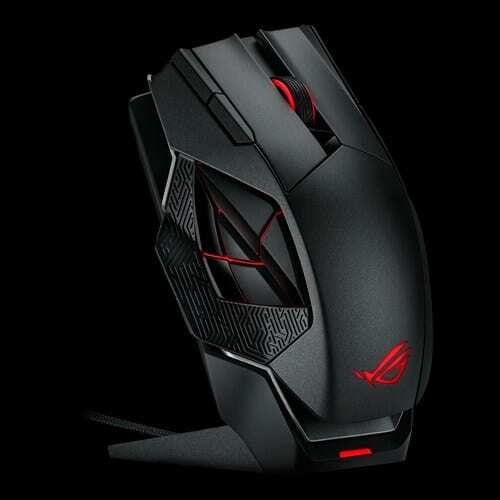 What ASUS have set out to produce here is a professional gaming mouse to rival any other, aimed at the MMO market with bold styling as you’d expect from the ROG lineup, some stand out features and built to take any punishment you can inflict on it.